A man from Cleveland, Ohio, faces felony child endangerment charges after he beat his seven-year-old stepson with a towel rack because the boy had trouble pronouncing a word correctly, according to court documents. 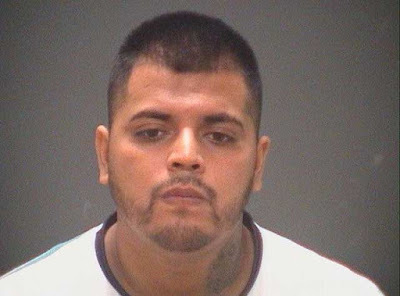 But it's the first time he has been charged with a felony in Cuyahoga County. Ordaz-Munoz got upset on July 22 when the boy couldn't pronounce the word "television" and started beating him with a towel holder, court records say. The beating left bruises and open wounds on the boy's chest, legs and buttocks, police say. Ordaz-Munoz pleaded not guilty during his arraignment on Tuesday and remains in county jail on $50,000 bond. This man does not deserve to have a child.